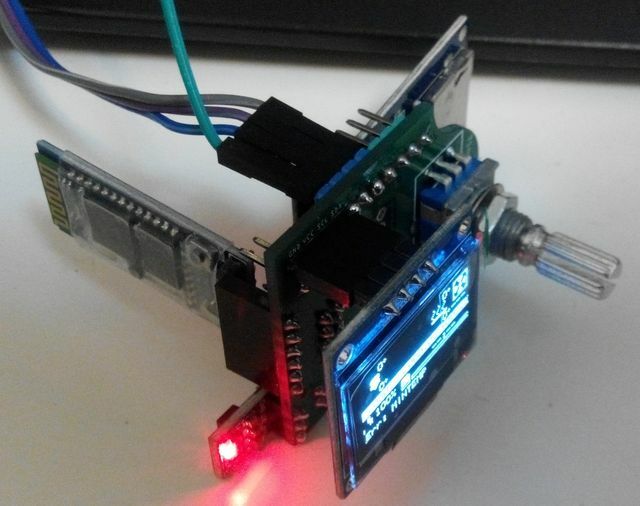 I have a problem with I2C Display. Please tell us more about your setup. Which printer controller? Which firmware and version? What pin configuration are you using for OLED, encoder and SD-card? Any other add-ons? I'm using MEGA / RAMPS 1.4 with Marlin 1.0.2 and 1.1.0 rc1. Why do you define REPRAP_DISCOUNT_SMART_CONTROLLER if you have an I2C OLED? Have you tried with SH1106_OLED_I2C_CONTROLLER or SSD1306_OLED_I2C_CONTROLLER along with the changes described earlier in this thread? 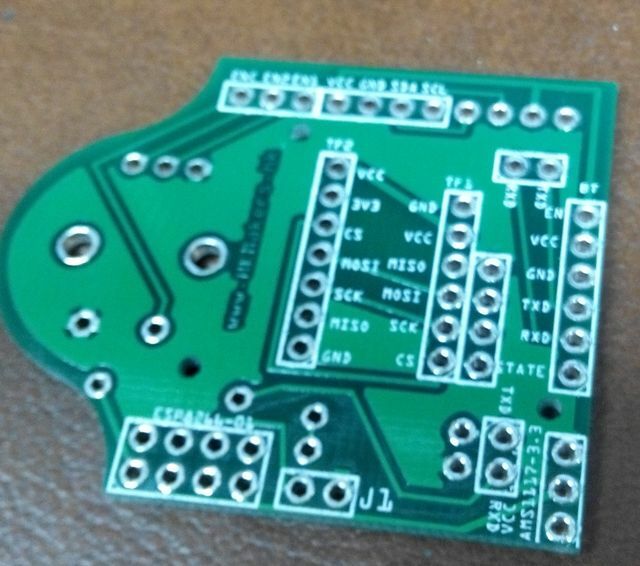 Defining REPRAP_DISCOUNT_SMART_CONTROLLER because it defines the pins.h and also ULTIPANEL and NEWPANEL like your patch for my breadboard setup. I tried your patch but it's the same behaviour. The rest of the menu works great, only if I open "Print from SD" it begins slowing down. Anyone got it to Work with the new Marlin firmware, where the "Conditionals.h" file no longer exists? Which version do you refer to, exactly? Just main fork marlin 1.0.2. - The file "conditionals.h" no longer exists in that build. It's not "no longer" but rather "not yet", these new files (Conditionals.h, pins_XXX.h, ...) were introduced in 1.0.3dev (which is the one I am using) and are now also in the newest release candidate 1.1RC. That's really odd really. I used it on my older printer with old firmware. Meaning from May this year. - No longer has version number in the Configuration.h file though. i found the problem myself. Edited 1 time(s). Last edit at 10/09/2015 02:31PM by TRoager. Edited 3 time(s). Last edit at 11/06/2015 12:57PM by fredchan. visited your store, can't put things in cart with Safari, changed to chrome, put whole Displayassembly in cart, proceeded to checkout, saw 34€ shippingfee and no option to change this, closed chrome. I'm lazy and for sure would have paid 30€-40€ in total. But not 70€. Your shipping fee for such small things is ridiculous. And your store doesn't work with Safari. Edited 1 time(s). Last edit at 12/01/2015 05:08PM by Skimmy. Have to agree on the shipping cost argument! Seems like shipping fee goes up alon with the shopping cart and not due to actual costs? I bought the first DIY 1,3" OLED and been very happy (somewhat) using it But shipping is silly... many/most asian sellers can sell for free, or at least not over $10 for such light items. Somewhat = Has to use marlin RC to make it Work. 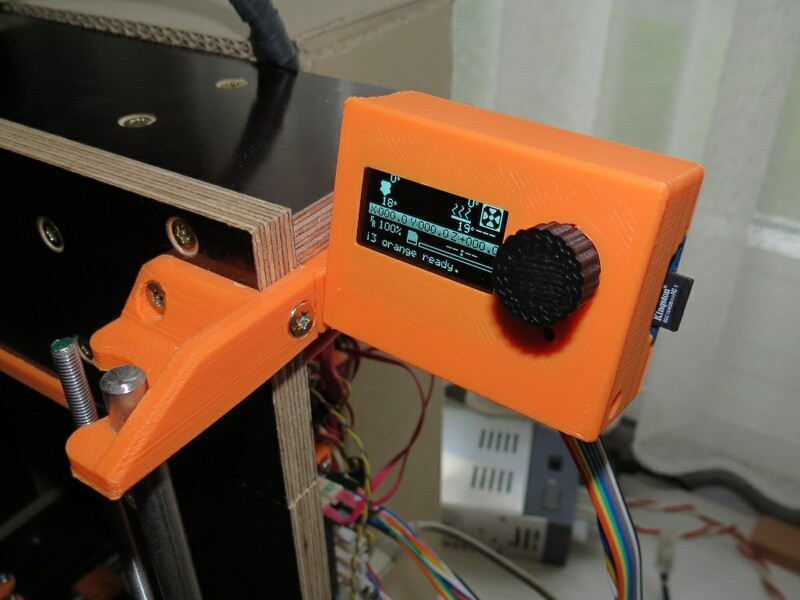 It does not Work in latest stable Marlin.. unfortunately the Auto-level in RC makes my printer move very slowly... so for now I have no display. My Instructables - both total newbie instructables and some for intermediate users. YouTube channel containing a few 3D printing videos - they are videos for my Instructables, and mostly not standalone. #define BTN_EN1 47 // reverse if the encoder turns the wrong way. Edited 6 time(s). Last edit at 12/15/2015 11:15PM by fredchan. How the hell do you guys use it? I compiled successfully 1306 on marlin kimbra, marlin RC and even repetier 0.92! When I print the printer is stuttering. Cartesian printer. What I need to do? Edited 3 time(s). Last edit at 12/24/2015 07:58AM by karabas. How you change the Marlin ? what OLED are you using ? 0.96 / 1.3" 1306 or 1106 driver ? Have anybody tested this with DUET boards? As the display boards for DUET are very costly, this may be a very cheaper solution. Will it work with DUET boards? Edited 3 time(s). Last edit at 01/15/2016 11:49AM by fredchan. Why my lcd display is two color? Nothing to do by software. The display is a very snug fit, but the casing is 3-5mm too close to the Rotary knob for the PCB to fit in there. The unit sold by [www.hkmakers.hk] uses the same name "TinyOLED" and might well be electronically compatible with my design, but they use a different PCB layout, so -not surprisingly!- it does not fit my 3D-printable double hinged case. Edited 1 time(s). Last edit at 03/22/2016 12:13PM by enif. Edited 3 time(s). Last edit at 03/22/2016 11:39PM by fredchan. I know how to make items, but it is far less timeconsuming if it is allready made. Seems V1 is not a fit at all. 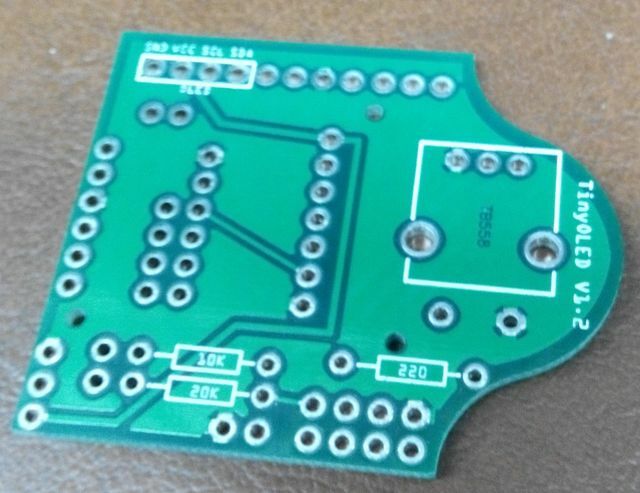 Wodner if the 1.2 fit for hkmakers 1.3" pcb... as mine is Square. Edited 4 time(s). Last edit at 03/23/2016 03:47AM by dintid. 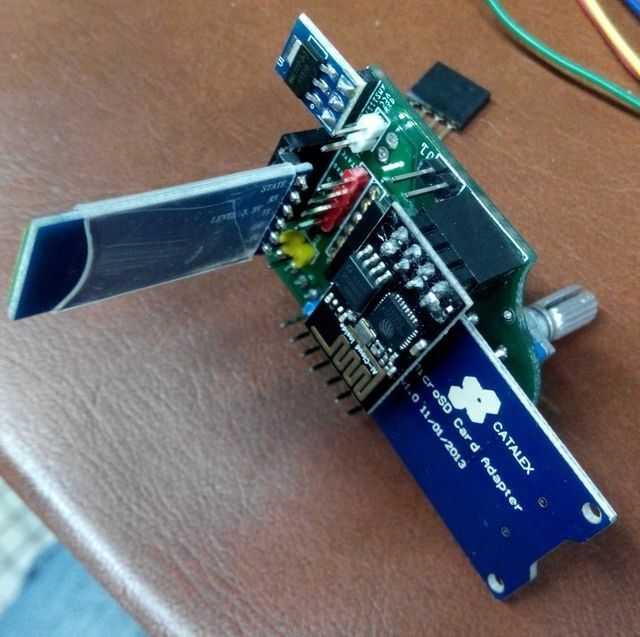 Re: DIY Tiny OLED I2C full graphics controller --- Smoothie? I know there is no support as of yet for the driver for this OLED bit I am curious if anyone has tried it as it would be perfect for my new Smoothie Mini powered Delta Mini Kossel. I am having problems with the encoder which is not working. Using a modified ramps-fd with marlin kimbra, checked the fw pins file which uses pins 31,33 and 35 just like a ramps does on a normal arduino. I already swapped the encoder switch with no success..
What I noticed though is that it is advised to use resistors and a small capacitor together with the encoder but then again neither you nor the ramps 1.4 with all the normal display uses it so this can´t be the problem. But what is the problem? Encoder is grounded on both pins and on the fixing pins. Why does the encoder need GND on two pins? What exactly do you mean by "not working": No sign of life at all? Erratic behavior? Does the push button work and give a beep when it's pushed? Why does the encoder need GND on two pins? As you can see on the schematic in the initial post, the grounds are needed for the encoder and for the push button, which are two units in the same case that are not internally connected. Hi! no sign of life at all, not even the pushbutton is working (which should be easy, right?). do they work by putting the digital lanes to ground? Because that´s just it digital pins and gnd pins this encoder has.. for both the pushbutton as well as ENC1 and ENC2 digital pins and two gnd pins. I even used a second pushbutton which I know that is working because I just extracted it from another controller that is known to work, so It´s not the button.